When I was pregnant with my second daughter, Elliw, my pregnancy wasn't all that joyful. In fact, most of my days were spent crying, worrying and being petrified about welcoming a new baby into the world. No one knows how I spent my days behind closed doors during my pregnancy. 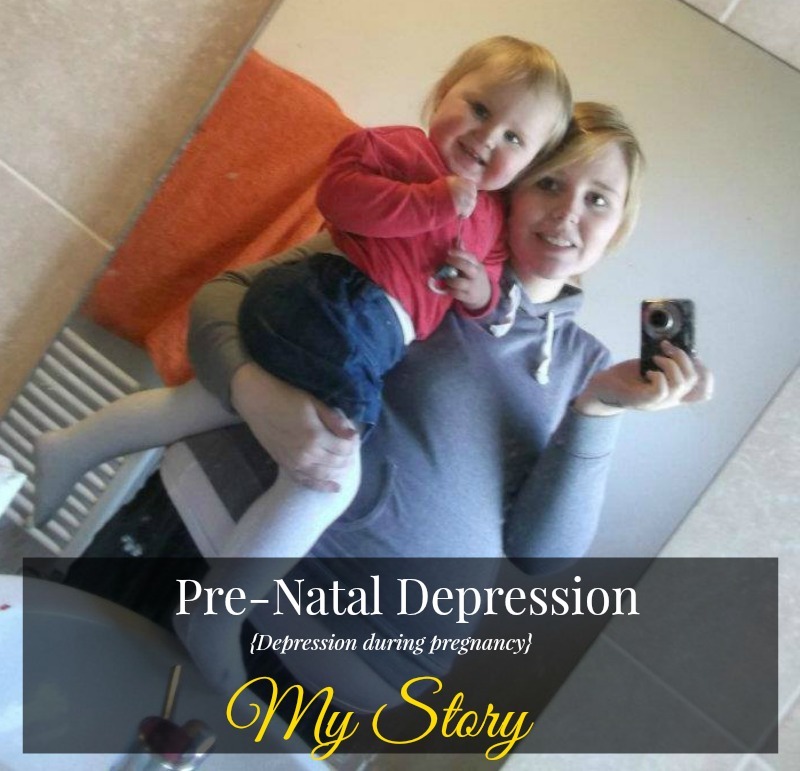 Some close people know now that I suffered from pre-natal depression, but at the time I didn't even know or even admit I had it myself because I thought there was no such thing as depression during pregnancy. My house was a mess, I was a mess, I had no energy, I wasn't myself. I was really lucky that Mia was a pretty good sleeper. So the night time wasn't too bad before Obstetric Cholestasis started. I was 30 weeks pregnant and the last 10 weeks weren't good. I didn't enjoy the last 10 weeks at all. I would be sitting in my single seated sofa, watch Mia play and wonder how could I ever accept and love another baby? How could I ever share my love between two? Now that above sounds like your typical pregnancy hormones. But it was more than that. I cried every day, my mood was awfully low, I just wanted to talk to someone but I didn't really have anyone I could talk too as I just thought they would say the usual things, such as "you'll be fine", "you got nothing to worry about" and the words "it's just your hormones". They are not what I wanted to hear. I was not fine. It was not just my hormones. I knew it was bit worse than that, but still it hadn't clicked to me that I was suffering from pre-natal depression. From 34-35 weeks onwards I lost a lot of sleep due to the constant itch I was getting from OC. I couldn't settle in bed, I spent some nights sleeping on the sofa but that only lasted a few hours. Some nights I would try sleeping on the living room floor or even the bathroom floor, hoping I could settle somewhere for a good night sleep. But no. The itch was too much. I lose sleep but I still had to wake up to Mia the following morning. Near the end of my pregnancy I stopped taking care of myself. I had no energy because I just felt so low in myself. I wasn't leaving the house much and I felt so alone. I cried myself to sleep, I cried when I woke up, I cried during the night, I cried during the day but once I was out, I put a brave face on as you do. I was petrified that my partner was going to leave us after I gave birth to Elliw. I felt I was going to have the same thing happening to me just like what Mia's Dad did. All sorts went through my head. Too much. I was exhausted and so low. I gained weight during my pregnancy and it was obvious because I was eating so much junk. I look back now and wonder, why did I do that? So silly, but it's done. I felt useless, hopeless, I felt as if I didn't deserve my daughter or my unborn daughter. I felt like my partner deserved more, a better and prettier girlfriend. When I look back, I really do wish someone saw these signs and tried speaking to me. But nothing happened until roughly 6 months after I gave birth (story to come). Depression is horrible. I felt as if I was stuck and could never see a light at the end of the tunnel. It took me a few weeks to decide whether I should publish this post, but I thought it may be good to get my story out there. In a few weeks time I will share my PND story. It is so important to share these things. I definitely had depression during my last pregnancy and after but didn't seek help or admit to it as my husband suffers from severe depression and anxiety.